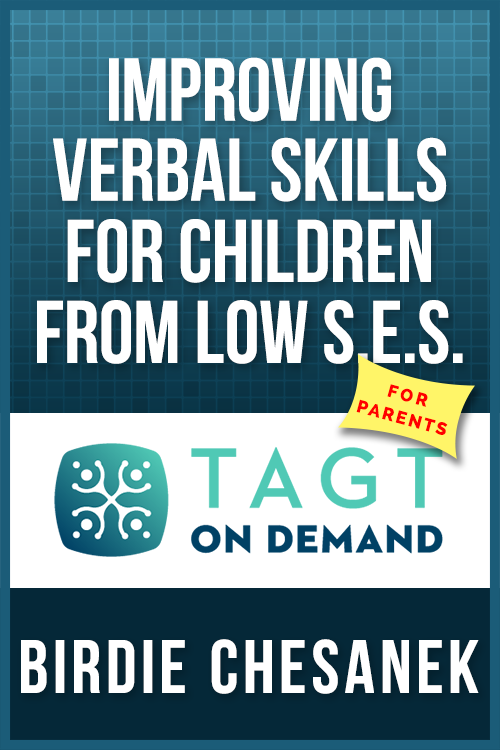 In this course for parents, Birdie Chesanek offers hands-on ideas to help bridge the gap between verbal and nonverbal intelligence for children from low-SES backgrounds. In this make-and-take session, Ms. Chesanek reviews educational issues that may be present when teaching students from low-SES backgrounds, explores strategies to bridge the gap between verbal and nonverbal intelligence, and then provides plans for using those strategies in various content areas. Ms. Chesanek has worked in education for over twenty years. She has taught in El Paso ISD for fifteen years and adult ESL classes at El Paso Community College for five years. Since 2009, she has received training from Joyce Juntune, Ph.D., Texas A&M University, on strategies to bridge the gap between verbal and nonverbal skills for students from low-SES backgrounds. She has co-presented at the Texas Association for the Gifted & Talented Annual Conference and is a presenter for El Paso ISD’s gifted and talented program.